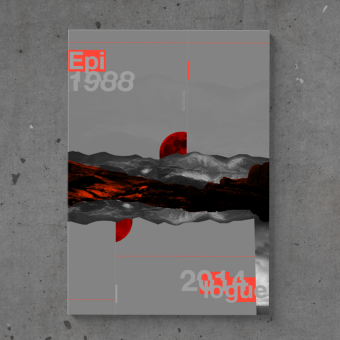 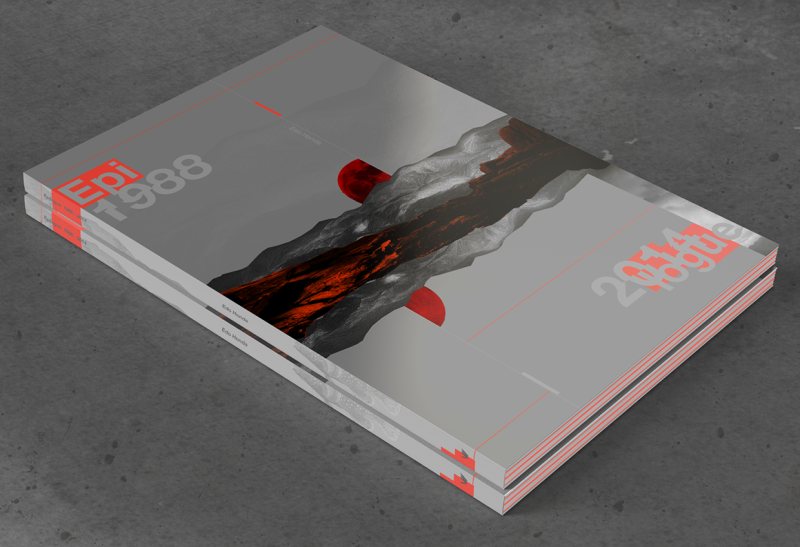 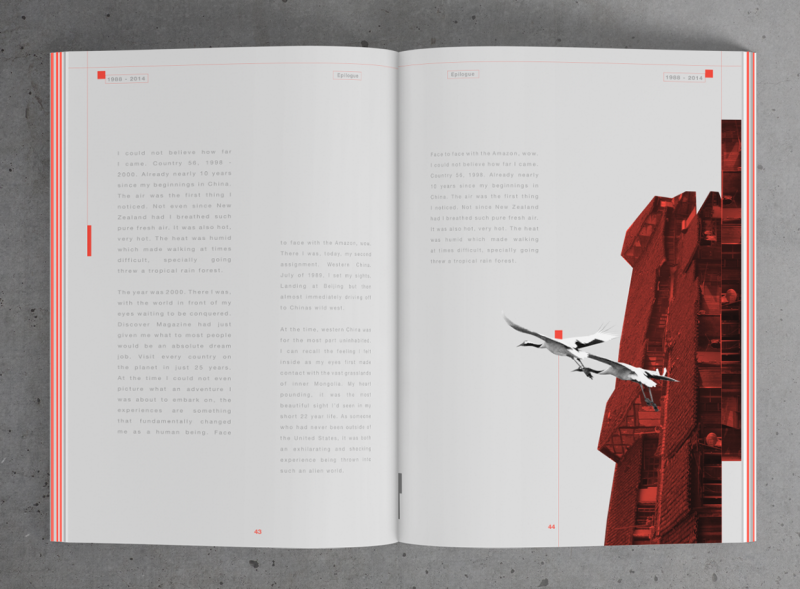 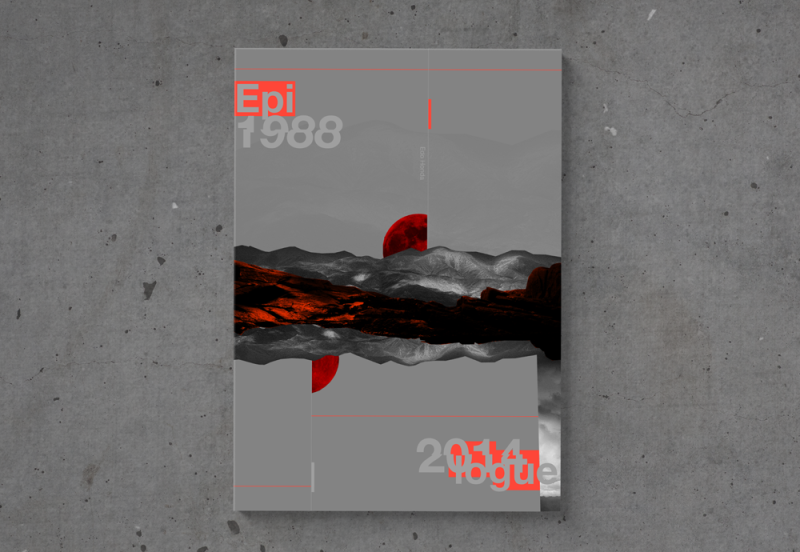 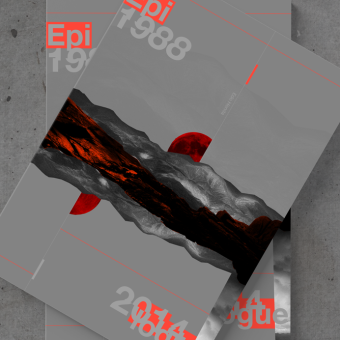 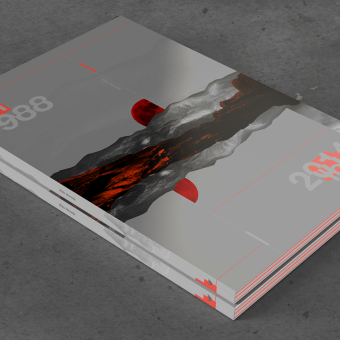 Epilogue 1988-2014 uses a blend of photography, typography, and graphic design to tell the story of author Ido Honda as he travels across the globe on his epic twenty five year journey. 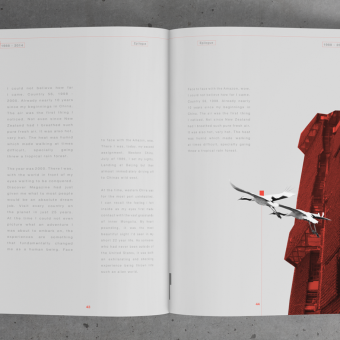 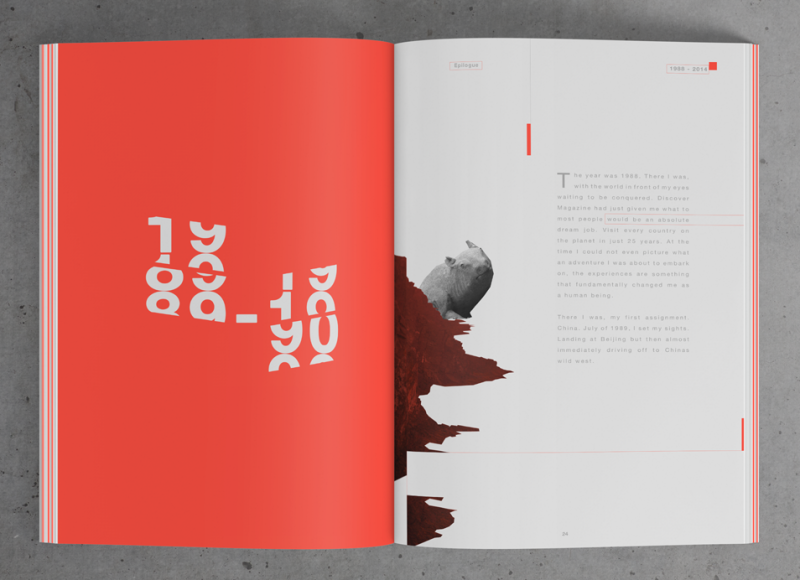 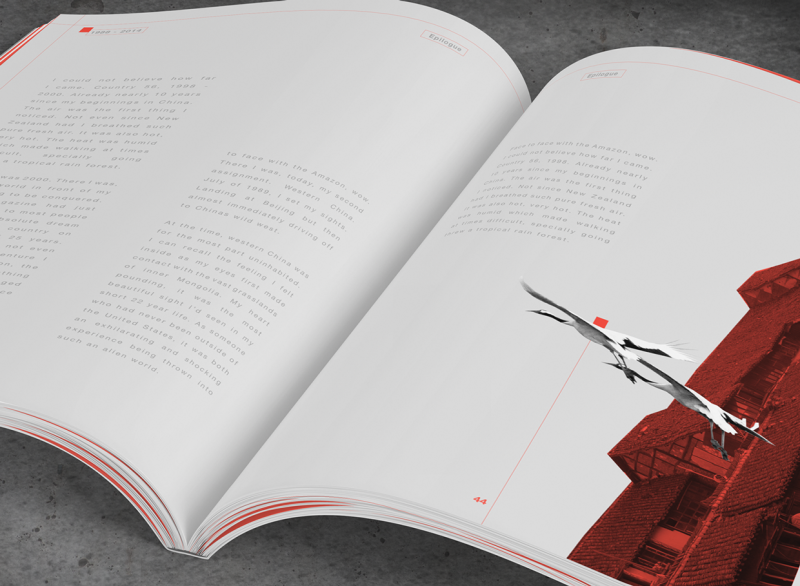 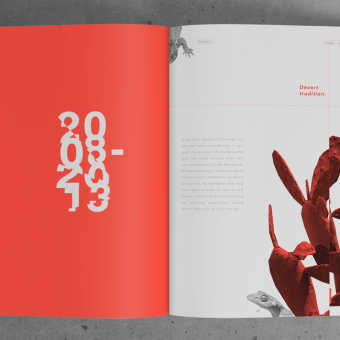 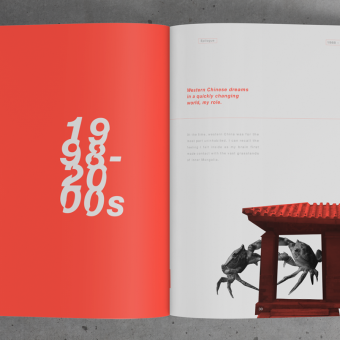 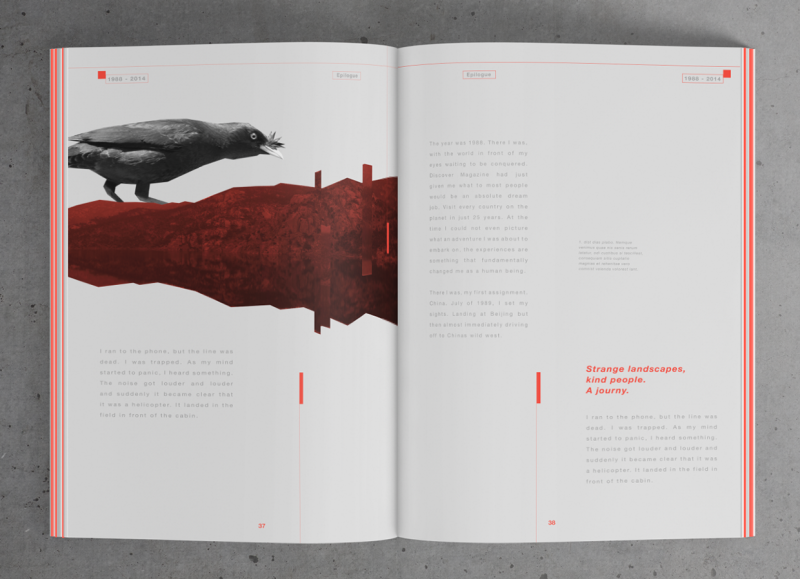 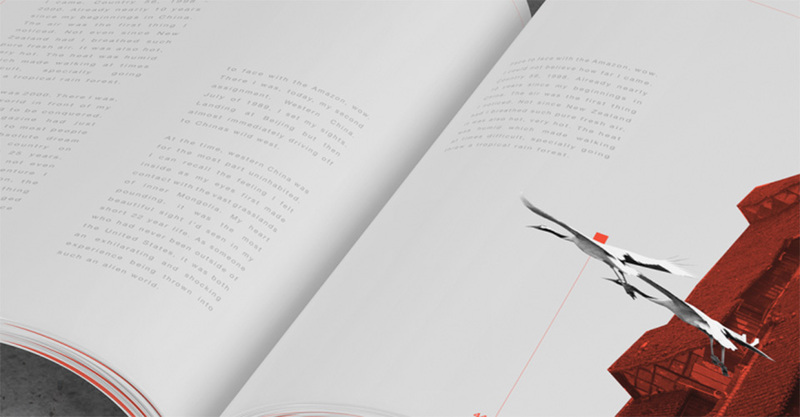 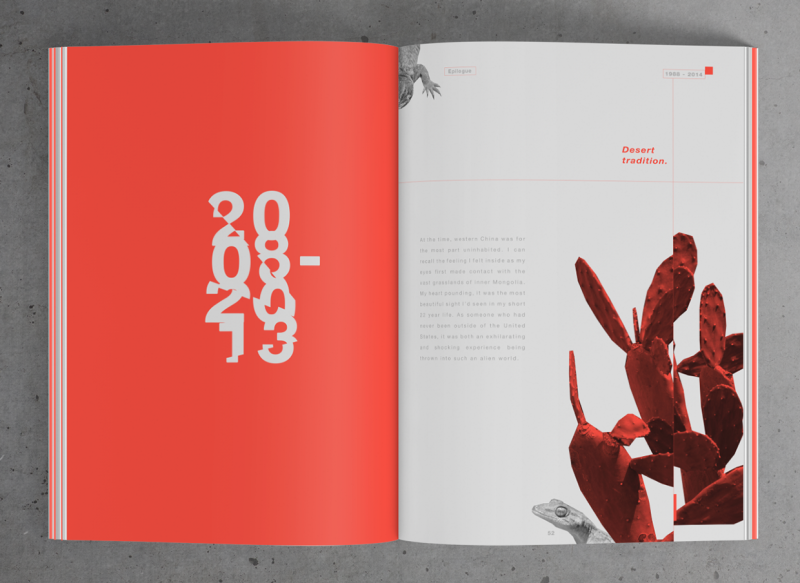 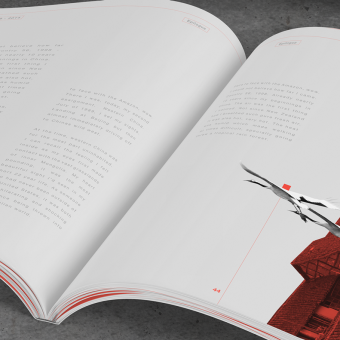 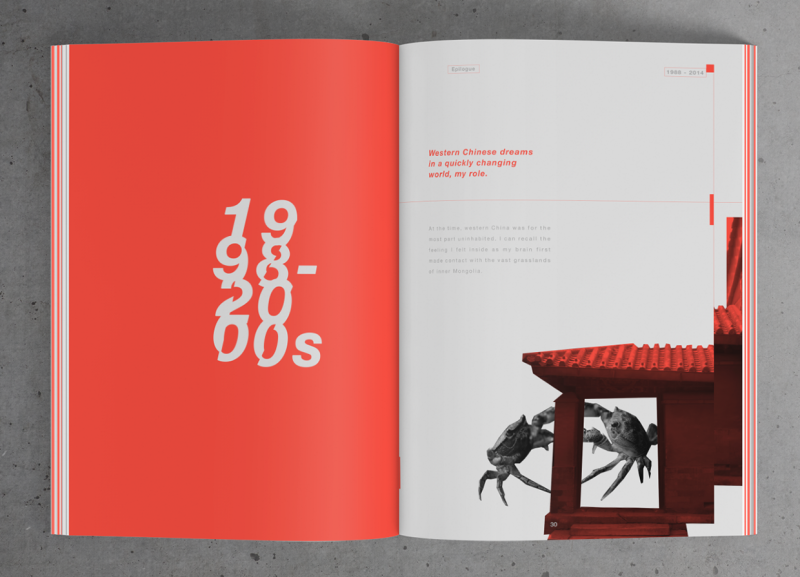 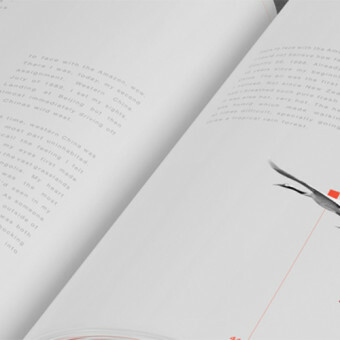 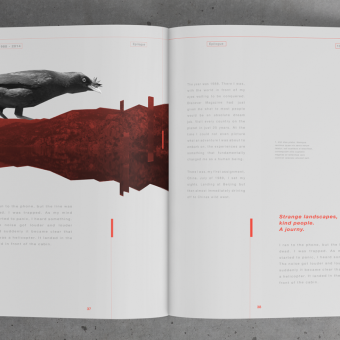 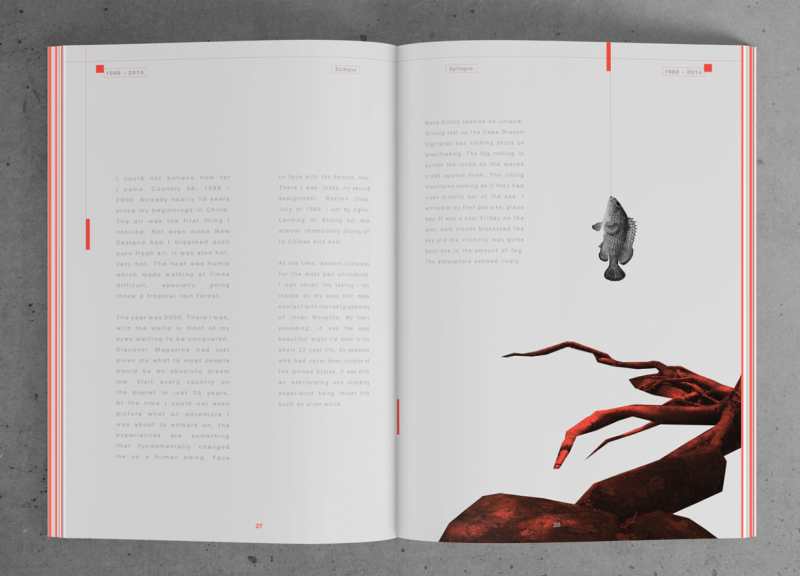 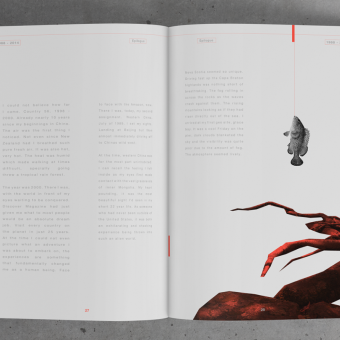 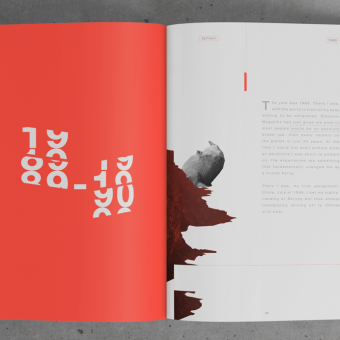 Designers Maxim Cormier and Chén Fan bring this story to life utilizing a blend of photography, typography, and graphic design truly illustrating the core behind every page. 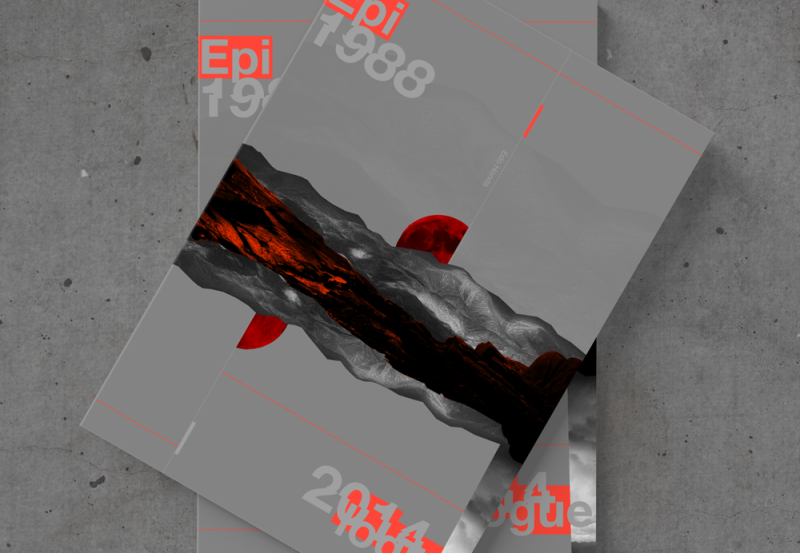 Inspired by the journey its self and how it was taken, photography is merged with design in order to encompass a visually simple yet stunning image which is full of meaning.